I am pleased to inform you that Target has been successful in its tender bid. Resulting from this tender will see the service 52 return to an all day service, the service 14 remains, with an additional journey departure from Derriford Hospital at 1742 returning to Ham-Keyham-Devonport and the City. The service 60 during the AM/PM peaks is currently supported by an increased frequency by the Northern Connect Service 60A, as a result of this tender, this service be withdrawn. Too support the AM/PM peak operation I am going to run an additional bus during these times which will be the same route as the existing Service 60, providing a 10 minute frequency. 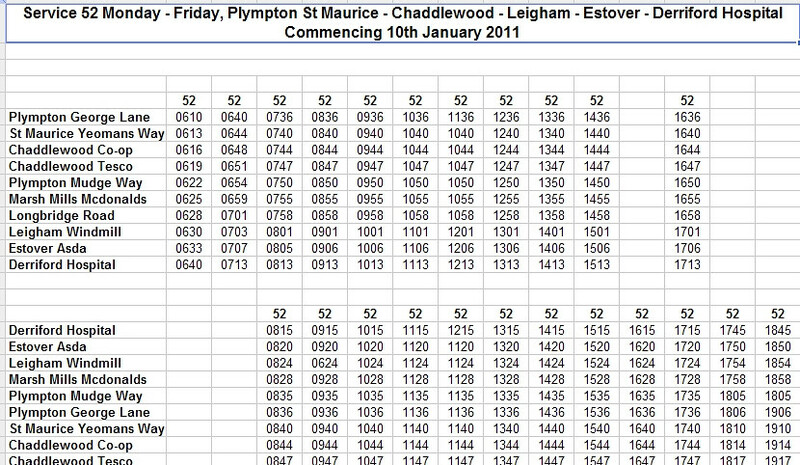 There is an additional benefit to this timetable which provides an extra 5 minutes running time during the peak periods compared to the existing timetable. No problem and many thanks for your very interesting and informative blog site. It is strange why there were rumours that PCB, then Target were taking over the service. Just goes to show never trust rumours! It also seems strange also that FDC are running a Monday to Saturday 17.55 from the City to Wembury but it does not then form a service back to Plymstock (I would think it will return to FDC’s Plymouth Depot?) I would have thought it makes more sense to run a passenger service at every opportunity, especially with such a reduced 48 timetable. 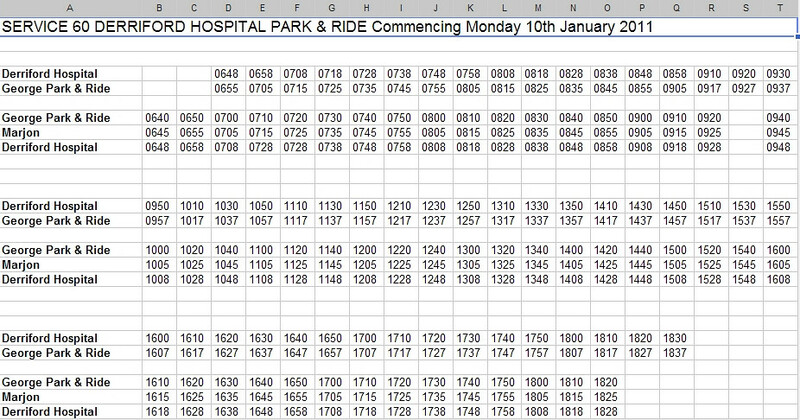 I see that there is now an 18.30 departure from Southland Park Road, arrive 18.49 Plymstock Broadway. Makes sense that!